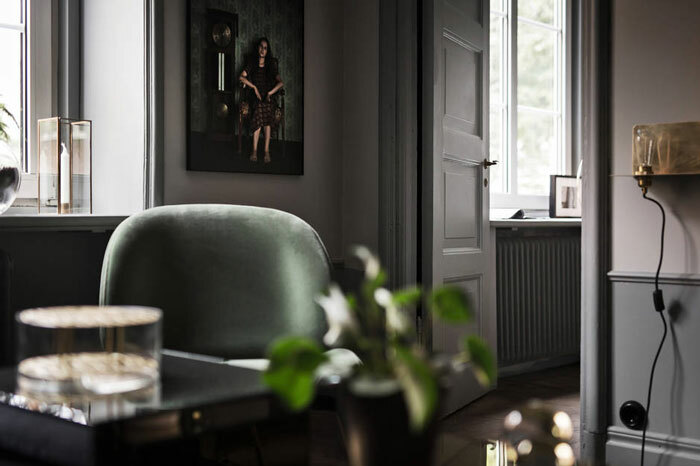 What a great way to kick off the week! 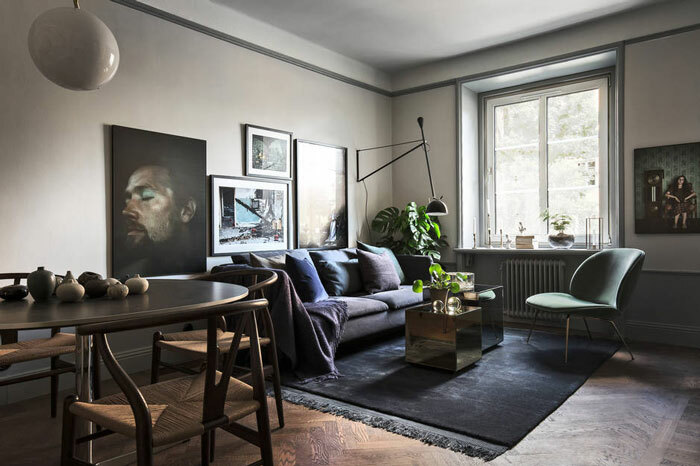 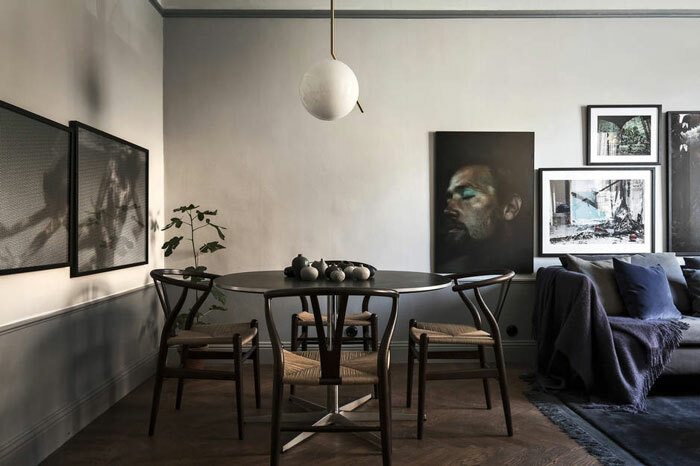 Check out this fantastic dark and moody apartment in Stockholm. 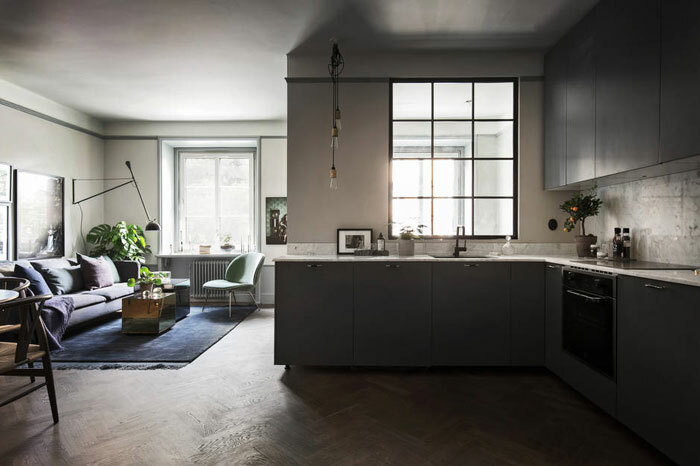 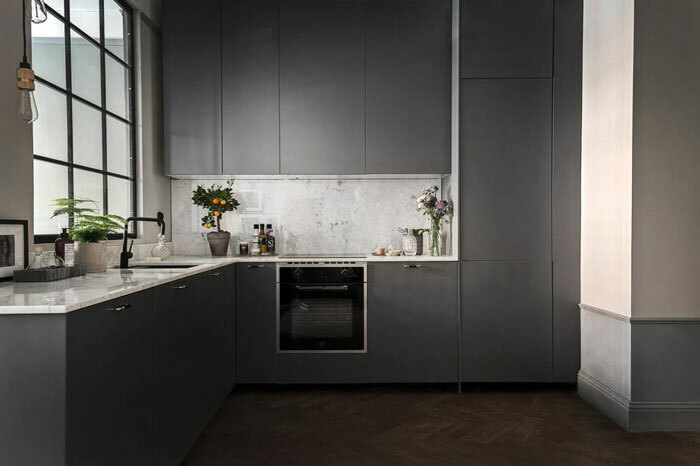 It has a beautiful herringbone floor, a sleek kitchen, and an inspiring style. 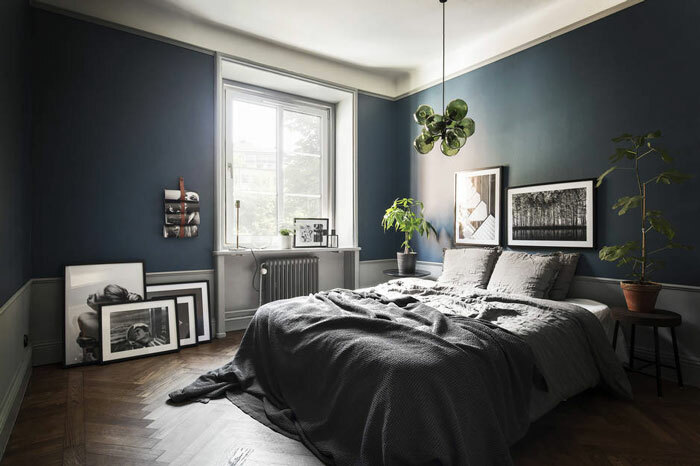 We’re in love with those deep shades of green, plum and indigo, warmed up with brass accents. 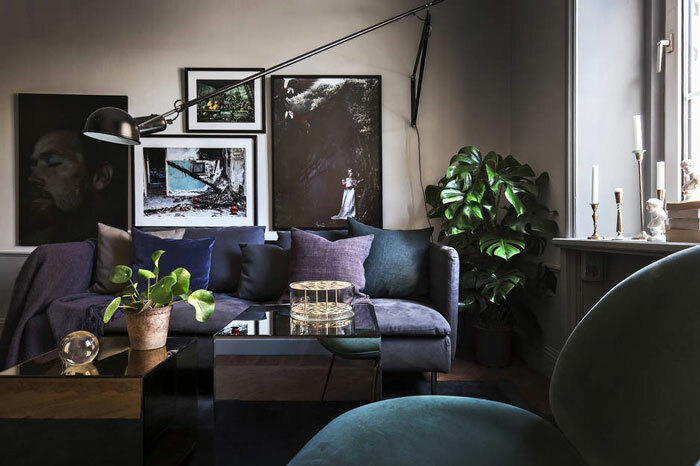 The place feels like an elegant cocoon with all those soft textures – Velvet is so in right now, have you noticed? 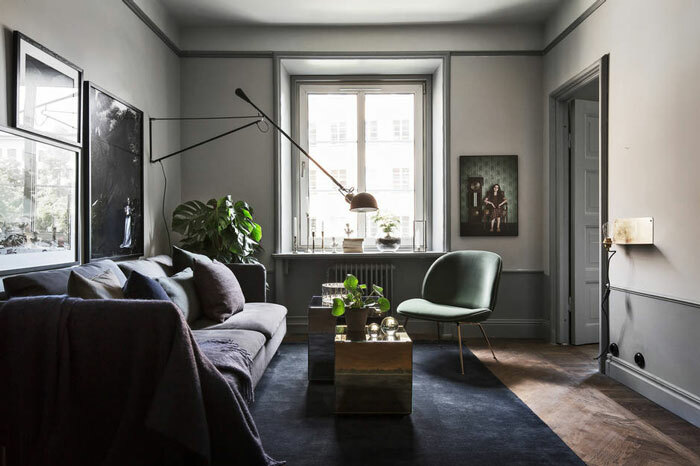 Moreover, with its walls filled with artwork and its wish list worthy furnishings (a FRAMA wall light, a Beetle lounge chair from Gubi, a Sinnerlig stool from IKEA, an IC pendant lamp from Flos, and many more), the interior is definitely right up our alley! 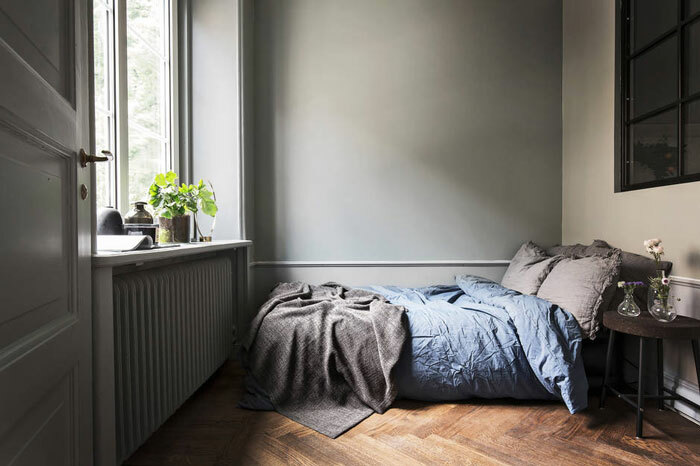 What a nice place.